3.1 Central repository | De B.A.A.T. 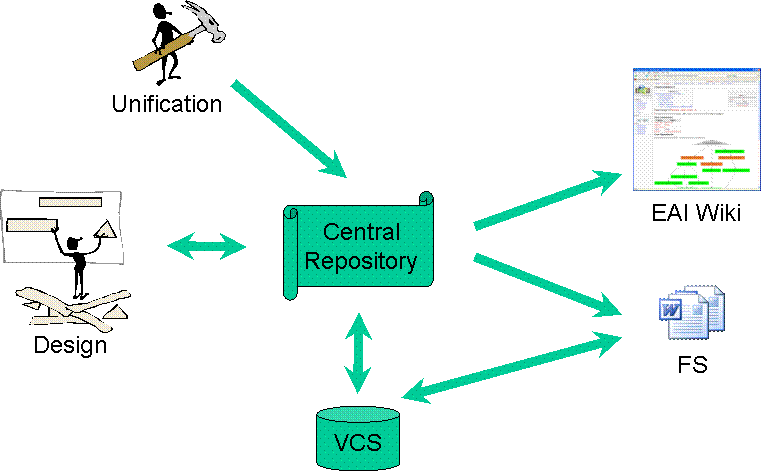 Figure 5 shows the environment of the Central Repository. The information in this repository is maintained by the EAI Design team. They add new services and update the designs of existing services. The Unification project is started to convert ‘old’ style designs into the format of the Central Repository. The information itself is stored in a Version Control System (VCS) to enable versioning, reliability and team work. A dedicated exporter tool is developed to generate Functional Specifications (FS) in word documents and the business view in an EAI Wiki which is explained in the next section.